Dr. Tim Kuntz has been practicing orthodontics in the Siouxland area since 1993. He was born and raised in Sioux City and attended Bishop Heelan Catholic Schools. Later, he attended Iowa State University for his Bachelor of Science and then graduated from the University of Iowa Dental School with his degrees in dentistry and orthodontics. Dr. Kuntz and his wife Jackie have two daughters. Courtney is attending USD and majoring in education while Sophie is a sixth grader at Sacred Heart School. Jackie is a technical expert with the Social Security Administration. 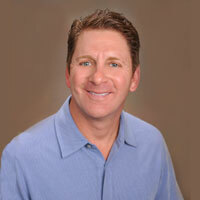 Dr. Kuntz enjoys family and friends, fishing, hunting, gardening, and golfing. He is a member of the Sacred Heart Parish in Sioux City and is involved in both dental and orthodontic societies, but is heavily involved in Ducks Unlimited and its conservation and restoration of wetlands.